I’ve mentioned before that I want to have a spring garden filled with gorgeous blooms that smell heavenly and the last two months whilst visiting the blogs of our new gardening friends in the Northern Hemisphere, their wonderful gardens filled with daffodils, tulips, snowdrops, crocus, narcissus and irises have had me waiting patiently for the Easter Weekend to sink my bulbs into the ground. New to gardening, bulb planting is something I’ve not done before so I needed books and tools and of course … BULBS! 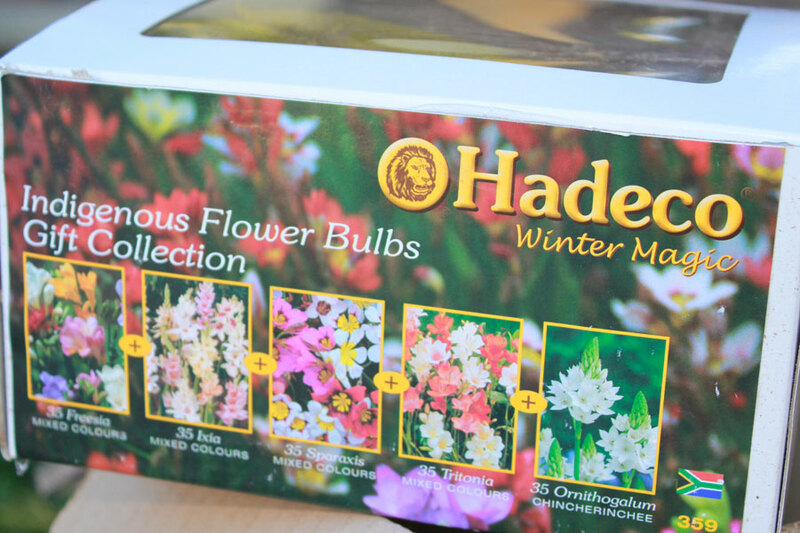 I’ve been buying and collecting bulbs now for about 6 weeks and as the books tell me to plant when the weather has changed - usually by Easter, guess what I’m doing this weekend? 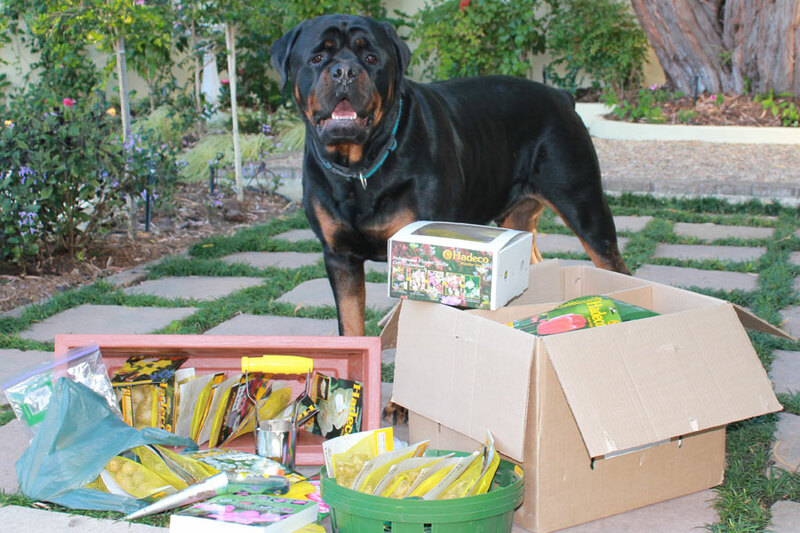 Planting all +/-800 bulbs I’ve collected! 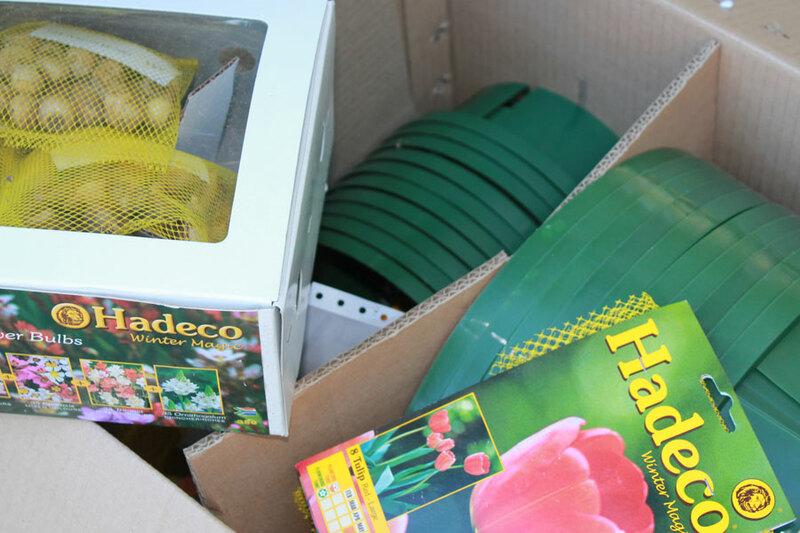 So this is part one of my Bulb Planting Weekend – The “Before” post! 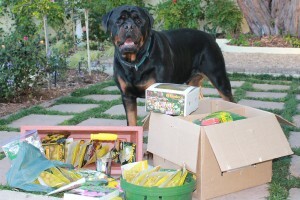 Dexter very excited about helping! 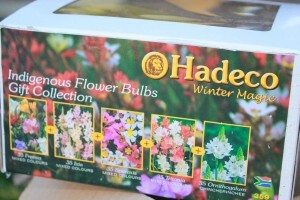 Free gift from Hadeco – Extra 175 Bulbs! So there you have it – Now you know what I’m doing today and tomorrow! 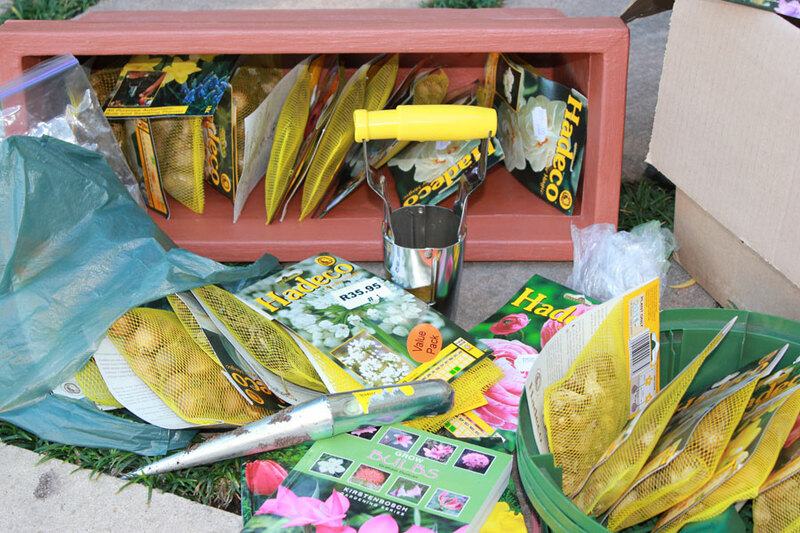 I’ll be back on the blog once they have all been planted. If you don’t see me for a while … well then you will know that I’m up to my eyeballs in BULBS!! love me some bubs as they say it here in Alabama. They are like cupcakes and confetti to me. Me too!! Happy Easter to you & your Boys Lizzie! Hi Diana – Yes, the dibber goes in so easily it makes the whole thing child play! Its turning out to be a much easier, faster job thanks to that thingy! Happy Easter to you & Jurg! Oh shucks, no photos yet?? I’ll upload part one tonight, ok? I can’t disappoint you! I’m still in my gardening clothes! I’m waiting for the hot water cylinder to kick in….have it on a timer! ME TOO!!! Also still in work gear – going to shower and then crawl into bed so I can be up early to finish the great big bulb brooohaha! Post is up so you can get a taste of what I’ve been up to!! Today was really hard….tough work, but so worth it! It’s looking amazing. this post is just a teaser ….. wait until tomorrow!